Please join us in welcoming Peter Daughtrey for April 2014 Author of the Month. 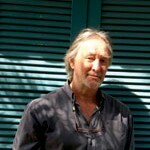 Peter is a British writer based on the Algarve in Portugal. He formerly worked as an executive in London advertising agencies, as a publicity manager, a designer and finally as a publisher with a specialist list of over twenty books and five magazines. Many of his articles and photographs have appeared in magazines. He has been researching the legend of Atlantis for more than twenty years. ATLANTIS and the Silver City is his first book. Join Peter during April on the AoM Message Boards to discuss his startling and compelling theory as to the location of the fabled empire. More than 2,000 years ago Plato laid down scores of cryptic clues in two of his famous Dialogues about the location of the lost world of Atlantis. Few realise that this is the only real information we have for this fabled lost civilisation. Since then countless experts have tried to crack Plato´s code. Some claim Atlantis lies under the volcanic rocks of Santorini. Others place it in the Bermuda triangle, off the coast of Africa or say it is lost forever beneath the waves in the middle of the Atlantic Ocean. But what if it’s been under our noses all along? What if we can even walk the streets above its ancient capital today? After a forensic twenty-year examination of Plato´s writings I can confidently claim we can do just that. I have matched an unprecedented sixty of Plato´s clues, all those that we could possibly hope to verify today. Previous favoured sites like Santorini barely match six. In my recently published book, ATLANTIS and the Silver City, I outline the full reach of the Atlantis homeland together with its extensive empire and pinpoint the exact location of its once glittering capital city. The evidence ,is powerful and persuasive and I think I have succeeded where many have failed. Of one thing I am very sure, Plato did not weave his tale from a combination of vaguely remembered historic events and myths, such as the volcanic explosion that devastated Santorini. That is what so many academics would have us believe. On the contrary, he was describing a very specific area that really existed and was largely destroyed by enormous earthquakes and tsunamis. Hopefully, with the help of seabed exploration, this great debate that has raged for two millennia can now be resolved. Was Plato telling the truth? Did such a place as Atlantis really exist, or did he use a description of an area little known to the Greeks of his time to weave a fictitious moral tale to impress his local Greek audience? Previously, over 2,000 books and many documentaries have set out to search for a huge island as that is what the accepted English translation of Plato´s work said. But in the book I point out that Plato was most likely not indicating an island at all and this is the reason his Atlantis has never been identified. Everyone was misled into searching for the wrong type of landmass. As far back as the seventeenth century, the rector of Uppsala University in Sweden, pointed out that nesos, the word used by Plato that was then subsequently translated as island, had in fact normally been used by the ancient Greeks to describe any of three completely different situations. Yes it could mean island, but it was also used to describe the entrance to an estuary with mud shoals. Crucially, the third meaning was a peninsula and during the last few decades many researchers have agreed with that. Even the standard Greek Lexicon includes an addendum confirming this. One example that verifies it is the Peloponnisos Peninsular at the bottom of Greece. The name derives from an amalgamation of “Pelops”, who was the Greek hero who originally conquered it, and “nesos”, giving the original Greek name of “Peloponnesos”. Others have pointed out that the Greeks also used nesos to denote a country or area, such as “Nesos Mesopotamia” and “Nesos Arabia”. Maybe just as important, Plato obtained his information third-hand from a learned Egyptian priest who had sourced it from a temple. It had been inscribed there much earlier. Experts have also pointed out that the symbol the ancient Egyptians used to denote an island was also used to mean a sandy shore, a coast, or even a foreign country. It must be doubtful if the priest could have known which was originally intended, but the information in the Temple did make it clear that Atlantis started immediately outside the Mediterranean. Plato explains this as the area outside the Pillars of Hercules, the Greek name for the Straits of Gibraltar. When this confusion of interpretations is considered instead of the dogmatic one of just an island it becomes blindingly obvious where Plato had been referring to. Fortunately, I had comprehensive local knowledge of that very area and as I analysed that against the mass of other evidence that Plato provided, it became increasingly certain that I had identified the correct region, it matched Plato´s clues perfectly. There is a landmass with a predominantly sandy shore starting immediately outside the Straits of Gibraltar, exactly where Plato said Atlantis started. Before 9,600BC, the date given by Plato for the sinking of Atlantis, much more land would have been above water. It is the south-west part of the Iberian peninsula and stretches west along Spain´s Costa da Luz to Portugal´s Algarve region and ultimately to Cape St. Vincent, the most south westerly tip of Europe. Perhaps the most telling clue from Plato that confirms this is the correct area is the one indicatng that the eastern extremity of Atlantis reached to opposite the city of Gades (Cadiz), which is not far out into the Atlantic past Gibraltar. Before parts sank, the original coastline would have been some distance south of Cadiz, hence Plató´s description of “opposite Gades”. The city was even named after one of Poseidon´s sons, Gadeirus, who was given that area to rule. It is just one of the sixty clues I had distilled from Plato´s Dialogues which I thought might still be verifiable today. They covered climate, crops, topography, vegetation, animals, fruit, water supply, huge wealth and crucially, the immense disaster that destroyed it. They all matched south-west Iberia, it´s as though he was a travel writer filing an article on it for a modern Sunday Supplement. For example, Plato wrote that the Atlantis was the wealthiest civilisation ever. My investigation revealed that for thousands of years BC, this corner of Europe was the principal metal producer in the then known world. The ore extracted there was traded extensively back into the Mediterranean by a succession of trading nations: the Minoans, Phoenicians and later by the conquering Carthaginians and Romans. Julius Caesar who was Roman Governor there for a period relied on the huge amounts from the local gold, copper and silver mines to finance his army. Without that wealth he would not have been able to mount his initial grab for power as a consul in Rome. An English archaeologist who early last century lived and worked for many years at the Spanish fortress city of Niebla, itself close to the huge Rio Tinto Mines, uncovered evidence that mines in the area had been worked for between 10,000 and 15,000 years. Plato indicated that Atlantis sank in a day and night of awful earthquakes and floods. The seismic evidence that I present to support this sudden destruction includes frightening facts about a succession of huge disasters that have afflicted south-west Iberia every 1,000 to 2,250 years. The last was in 1755 AD when it was subjected to what is considered by some geologists to have been the West´s biggest earthquake in known history. It was at least as big as the one in Japan two years ago, but possibly ten times stronger, with towering tsunamis up to 100 feet high. It is recorded in history as The Great Lisbon Earthquake, but that is a misrepresentation as it was really The Great Algarve Earthquake. No one had heard of Portugal’s southern Algarve region back then but it was much closer to the actual epicentre which was around 200 kilometres south west of Cape St. Vincent and the damage was colossal. The quake reverberated over an area of nearly 1.5 million square miles of Europe and North Africa. Lisbon was all but destroyed and the coast and hinterland of the Algarve and Spain´s Costa da Luz were devastated as was northern Morocco. More pertinent was that a 600 kilometre diameter area of the seabed sank by some 30 metres. Perhaps more pertinent still was the fact mentioned earlier, that the quake was far from an isolated incident. It had been caused by the notorious fault line which delineates the African and Eurasian plates. Geological research on the seabed has proved that events of a similar or greater magnitude have occurred regularly in the past and there was particular bad one around 11,600 years ago, the exact time given by Plato for the destruction of Atlantis. It explains why despite ideal conditions for a civilisation to have flourished, few records exist. It seems fair to say that they may well have done so, but perished under huge alluvial deposits or disappeared on land now at the bottom of the sea. It is clear from the bathymetric chart of the sea-floor that the area in front of the Algarve was once a large plain. It slopes very gradually, only a few metres or so per kilometre, but it is broken into three successive areas by what would appear to be ancient cliffs where the levels suddenly plunge by significant amounts. These sharp differences in levels could have been caused by combination of land suddenly sinking due to seismic events and the rise in sea-levels caused by the melting of ice-age glaciers. I know of at least one site of unidentified ruins which were exposed on the sea-floor when the ocean withdrew immediately before the tsunami of 1755 struck. Ancient river-beds are also clearly visible on the chart where many of the current rivers once extended as far as the extremity of the submerged plain, evidence that the whole area was once above water. All of Plato´s other clues about climate, water, vegetation and crops identically match this region. Just one example, but a significant one, is that about the Atlantis countryside producing “a good store of chestnuts”. This rules out any tropical zone such as off the coast of central Africa, whereas South West Iberia has a bountiful crop every year. Plato also wrote that Atlantis had a range of mountains immediately north of the great plain and the capital city. He indicates these mountains survived the disaster, although greatly diminished in size and number. They still exist today, starting inland immediately behind the remaining narrow coastal plain in the Algarve and extending eastwards across into Spain. After identifying that the region must be the Atlantis that Plato described, I searched the remaining countryside for any indications of sites of inland cities. Against all odds I found the actual site of the famous small capital that was described by Plato with such a surprising amount of very specific detail it is as though he wanted to make sure it could be identified. This site matches so many of those elements it is surely globally unique and quite beyond coincidence. As Plato indicated, mountains stretch back to the north behind the capital city. Note the pyramid shaped hill in the centre. Here are just a few of the astonishing examples, all of which agree with Plato´s clues. It is connected to the sea by a tidal waterway of nine and a quarter kilometres, which is the exact distance specified; it is built on a small hill, itself on a small plain and the diameter of the hill, less than a kilometre, is still much as Plato indicated; it would have been only a couple of kilometres from the vast agricultural plain; the unusual combination of red, black and white stone could all have been quarried from this one small hill as detailed by Plato and used to build the city; remnants of the surrounding earth embankments, each originally separated by a ring of seawater, are in the correct positions on the west side. The outer one overlooks the ancient harbour, just as Plato specified. It was still a harbour in Phoenician and Roman times. You can see touch and verify them. It all represents a unique geological and geographical template. It is Silves, the ancient Moorish capital of Portugal´s Algarve and you can savour its atmosphere as you amble through the medieval streets and explore the awesome castle that exist on the site today. Silves as seen from the east. Now, there only remains that big question mark. Was Plato reporting accurate facts about a lost civilisation or did he make up the story to achieve other ends? I think there is enough evidence to suggest Plato was certainly reporting a kernel of truth. The very fact that I think I have now established that Plato was talking about an exact area that once existed and had largely disappeared many thousands of years before his era, is strong proof in itself. How could he have known about it unless he had access to privileged information? Evidence is also laid out in the book to support Plato´s date of around 9,600 BC as being credible for the disappearance of Atlantis. So, what next? There is much more in the book than briefly described here, including detail on the sprawling island empire stretching all the way to the Bahamas and Cuba. I hope the book will inspire exploration, particularly on the sea-bed as only then will we really know just how accurate Plato´s assertion was. If he was correct, apart from the ruins I know of, the whole sunken area would have been peppered with cities and ports. The sea-floor chart shows many clumps of “rocky areas” and “unknown obstructions”, could some of those be ruins of Atlantis stone buildings? Exploration will be fairly easy with modern equipment as the area is shallow, only slopes a few metres per kilometer and is flat. Together with other discoveries now being made in Anatolia and the Far East, the next few years could prove very interesting with the possibility of revelations that will force a complete re-assessment of human civilised history. Peter Daughtrey´s book, ATLANTIS and the Silver City, is published in the USA by Pegasus Books of New York as a hard-back edition and EBook, complete with 16 pages of colour photographs and many illustrations. It is available from bookshops and retail outlets or internationally from Amazon and other E retailers. In the UK it is published by Thistle of London as a paper-back and EBook, but only available direct from Amazon.